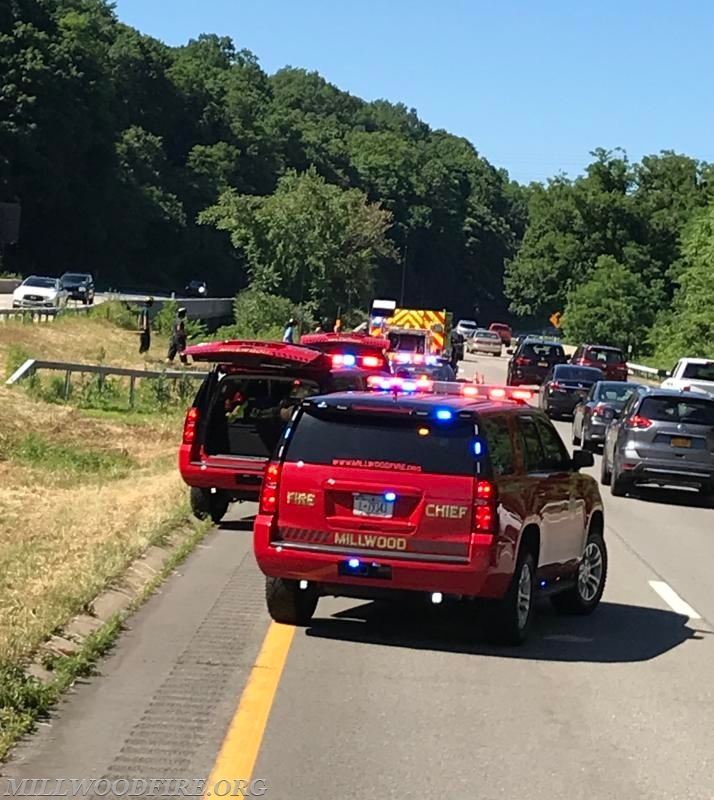 At 3:37pm, the Millwood Fire Department was dispatched to the Taconic State Parkway for a reported brush fire in the center median. The brush fire was confirmed by the Chief and quickly extinguished by members on Mini Attack 10. Engine 248 and Engine 247 also responded to ensure that there was enough water to extinguish the fire. All units were back in service within minuets.